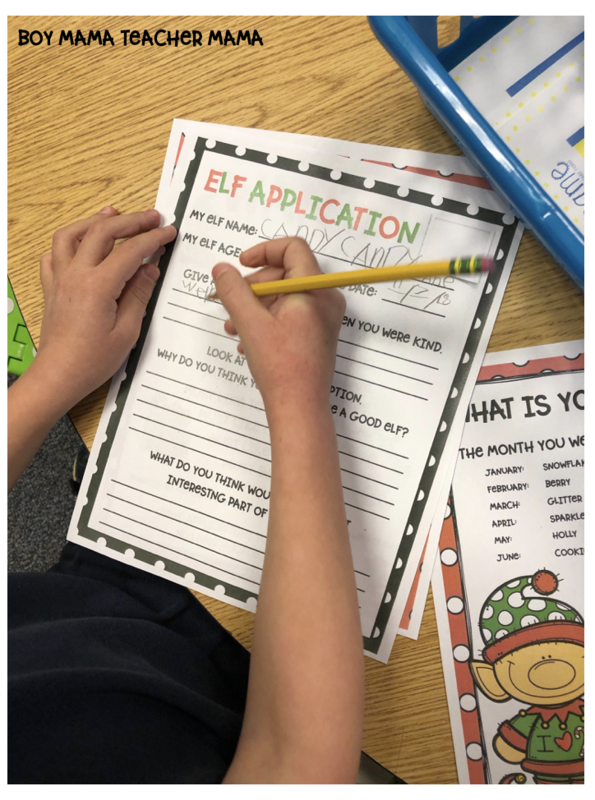 It’s almost winter break and I was looking for fun (and easy) activity for my first graders to do with their third grade buddies. 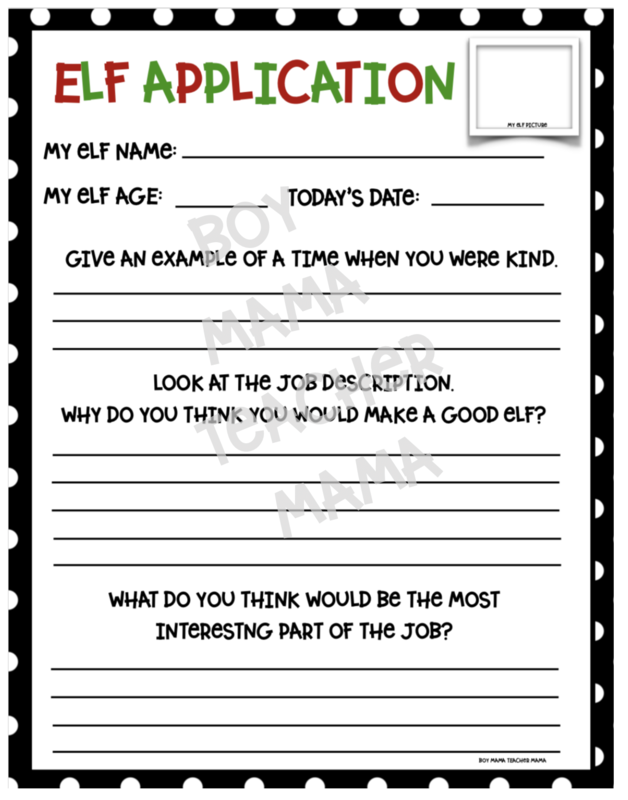 I noticed a whole bunch of different versions of elf applications on Pinterest and decided to create one to use with our buddies. 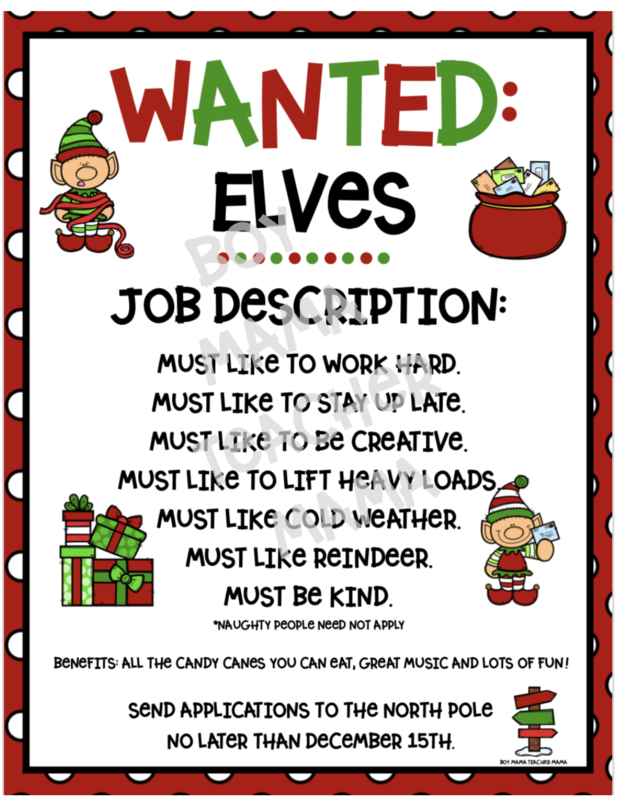 So, here is my version of the popular Elves Wanted activity. I shared this wanted sign with the group and we read over the job description together. 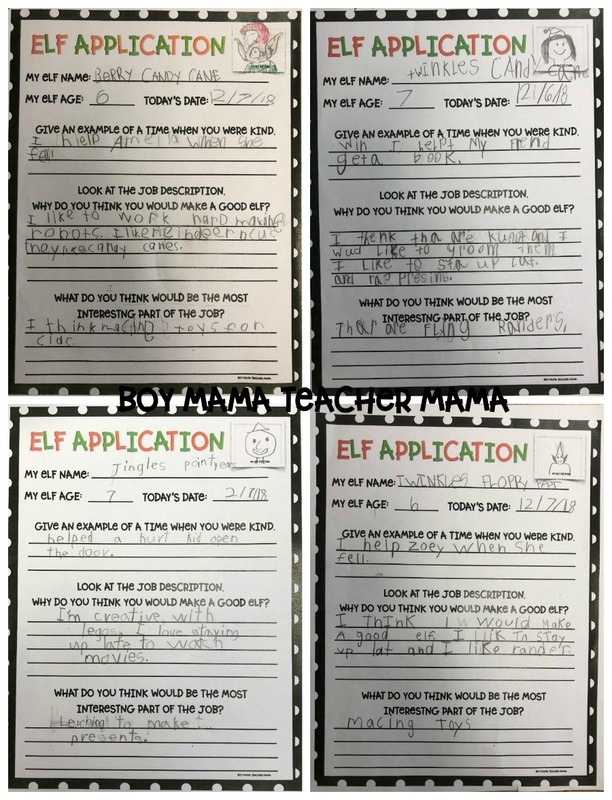 We then went over the Elf application. We discussed how a job application works and talked about how their answers to the questions on the application should reflect what the application is asking for. Oh, and we cannot forget the elf name! 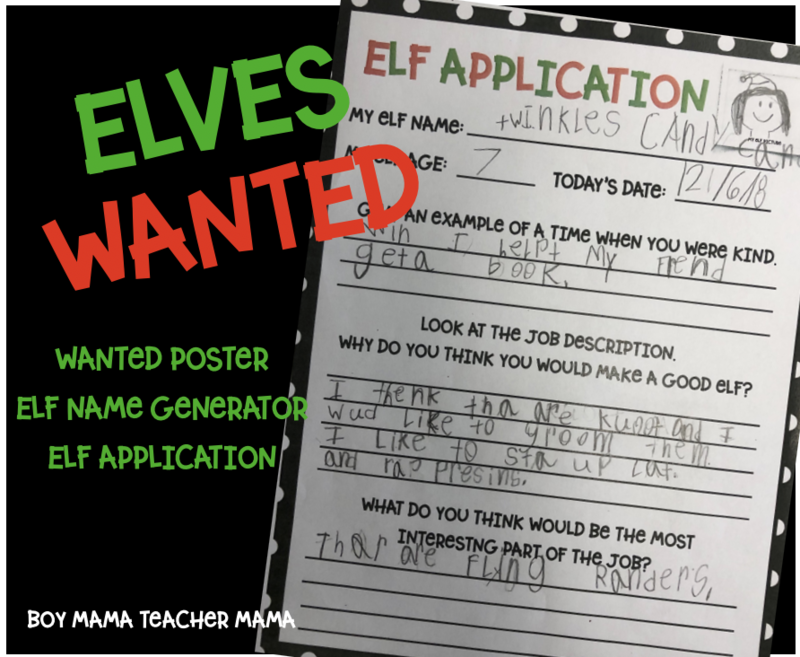 I had the class use the following elf name generator page to figure out what their elf name would be and use it on the application. 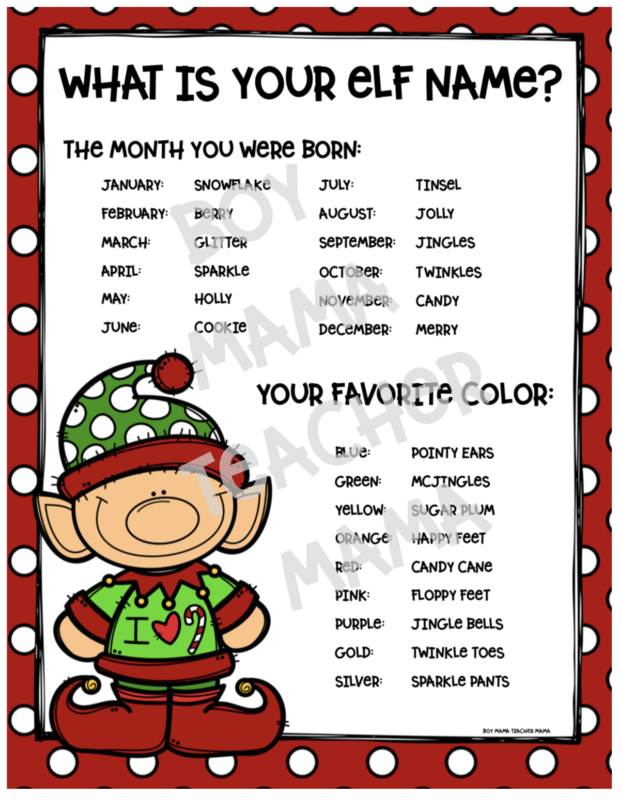 There was a lot of giggling going on when the kids found out their elf names. Needless to say, this activity was a huge hit and students couldn’t wait to take their applications home to show their family members. They were also very excited to find out what their family member’s elf names would be.